BAL have launched a new phone number for their Technical Advisory and Specification Service (TAS). 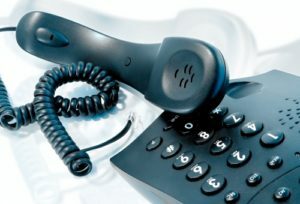 The new number – 0330 030160 – replaces BAL’s previous 0845 number and costs no more than calls to geographic numbers and are included in free call packages from mobiles or landlines. BAL TAS can also be contacted through the standard 01782 591120 number. 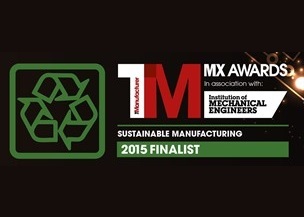 What’s more, the team will provide assistance whatever the material used, from any manufacturer. One of the first technical advisory services to be set up in the country, BAL TAS offers support like no other brand because they are backed by more than 50 years of heritage by tiling experts with many years’ experience and expertise in tiling and construction. As well as offering a comprehensive technical advisory service, BAL also provide on-site project support through it’s nationwide team of Product Support Technicians (PSTs). 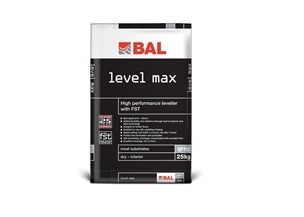 BAL is the only UK tile adhesive manufacturer to have specialist PSTs. BAL PSTs offer practical knowledge, project advice and training on the phone, online and on the road. Nearly 3,000 indigenous villagers and 80,000 trees in the Peruvian rainforest have been protected thanks to a partnership between BAL and Cool Earth – Europe’s fastest growing environmental charity. Cool Earth works with villagers in South America to prevent rainforests from being cut down. Funding a local trust, Cool Earth makes the local community the legal custodians of the land, and uses community rangers and satellite imagery to monitor and protect the rainforest 24/7 from illegal activity. Supported by celebrities such as Vivienne Westwood, Ricky Gervais, and Kate Moss, and backed by leading environmentalist such as Sir David Attenborough and Sir Nicholas Stern, the charity institutes sustainable employment programmes, and supports schools and clinics, so that indigenous rainforest communities do not suffer from lost logging income. As part of its partnership with Cool Earth, BAL funds the protection of one square metre of rainforest in for every square metre of BAL’s tile adhesive range used. Since partnering with Cool Earth, BAL has helped protect 333 acres and 79,920 trees – locking in 86,580 tonnes of CO2 that would otherwise be released into the atmosphere contributing to global warming and climate change. Alex Underwood, Head of Marketing at BAL – the UK’s market-leader in tiling solutions – said the company was proud of its environmental commitment and partnership with Cool Earth. “BAL is proud to be the only company in the tile industry to have become a partner of Cool Earth where fixers, contractors and specifiers using our products are making a measurable difference to protecting the rainforest. “Thanks to our partnership, 16 indigenous Ashaninka villages in Peru’s Ene Valley have been linked together to shield millions of acres of neighbouring forest from illegal logging and coca which is destroying the forest. “As well as protecting the local populace, Cool Earth’s ground-breaking work has helped protect 19 endangered species and shelter more than 8,000 species of animal at risk. So far Cool Earth has already saved over 541,000 acres from deforestation – an area larger than Greater London. Protecting some 129 million trees has prevented over 140 million tonnes of CO2 emissions. 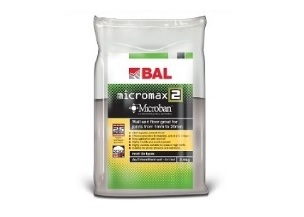 Suitable for internal or external waterproofing, BAL Tank-it is the new, ultimate tanking system formulated with innovative technology from the UK’s market-leaders in tiling solutions. Highly polymer-modified, BAL Tank-it is a two-part, rapid-setting product which provides complete protection and can be tiled after only 90 minutes. Easy to use, BAL Tank-it can be applied by either simply using a standard 4mm notched trowel and float, brush or roller. As it conforms to BS EN 14891 classification it can also be applied outside for projects including terraces, balconies and fountains. Furthermore, BAL Tank-it is perfect for waterproofing areas of total immersion such as swimming pools, hydrotherapy pools, spas and hot tubs. With BAL Tank-it no priming is required, producing significant time and cost savings on key installations for tilers and contractors. 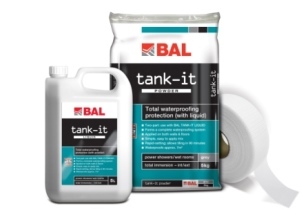 BAL Tank-it components – 5kg powder, 5l liquid and 20m scrim tape – are each sold separately allowing ease of use on larger commercial and domestic products. As well as providing ultimate all-round performance, ultimate workability and ultimate versatility, BAL Tank-it comes with a complete 25 year guarantee when used as part of a full BAL system solution providing market-leading peace of mind on all installations. Users can also rely on BAL for complete project support. No other brand can offer so much experience and expertise including free technical advice, free on-site consultancy, free training and free specification service. Now available in stockists nationwide, BAL Tank-it is the revolutionary new waterproofing system for complete protection in any environment, ensuring your projects look great and last the test of time. 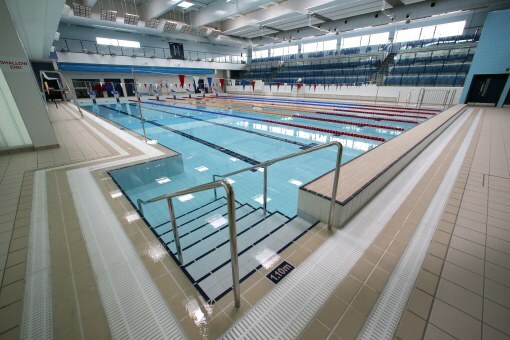 BAL, the UK’s market leaders in full tiling solutions, have played a crucial role in the development of a new 12,500m², £36m leisure centre in the heart of Huddersfield, West Yorkshire. 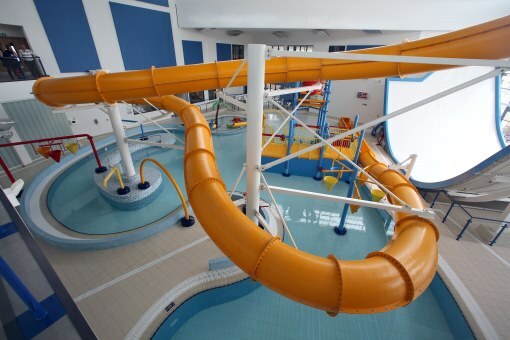 Recently opened, Huddersfield Leisure Centre features a range of top sporting and leisure facilities, including a 25m competition pool, 20m training pool with moveable floor and a family leisure pool with interactive water features, water flume and sidewinder. 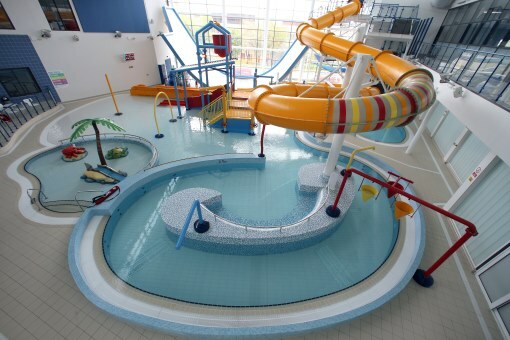 What’s more, visitors can enjoy squash courts, a 15m climbing wall, bouldering wall, twelve court sports hall, large gym, cycle studio and combat room. 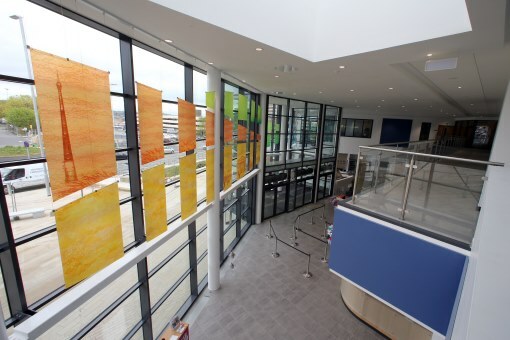 The centre also features changing facilities, offices, meeting rooms and a large café. The new centre was designed to meet the clients brief for a multi-purpose sporting and leisure facility for the local community which compliments the existing street pattern and contributes to the regeneration of the town and surrounding region. 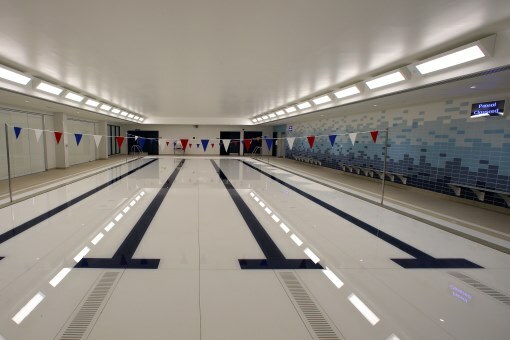 BAL tile adhesives, grouts, sealants and preparation products were all specified for the project which featured more than 10,000m² of tiling in the main changing rooms, upstairs changing rooms, pool surround, leisure pool and main swimming pools. BAL worked extensively with project architects AHR, main contractors BAM, tiling contractors The Tiling Company and tile suppliers Ceramique Internationale Ltd from design to completion, including specification support from BAL’s Technical Advisory Service (TAS) and on-site support from BAL’s expert Product Support Technicians. 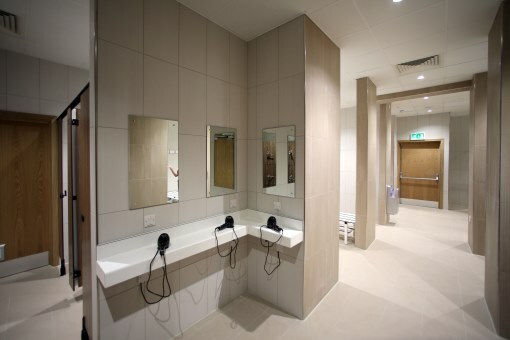 David Longbottom, Specification Manager at Ceramique Internationale, said: “We called upon BAL at the very beginning of the project for their technical advice and full NBS specification for the tiling, and we would like to thank them for their hard work on this prestigious project. 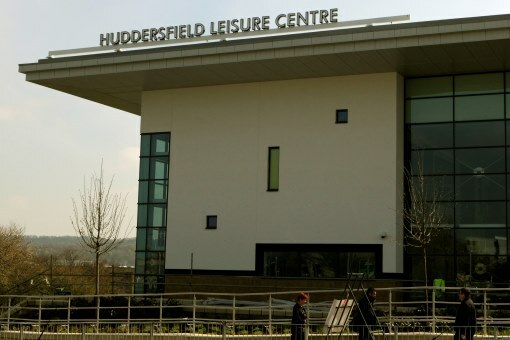 BAL products used at Huddersfield Leisure Centre included numerous preparation products such as BAL Quickset Cement, BAL Quickset Render, BAL Prime APD and BAL Bond SBR (acrylic primer for walls and floors, bonding agent for walls and floors respectively). 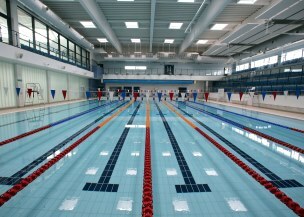 A number of different tile adhesives were utilised throughout the project including BAL Single Part Flexible (flexible adhesive), BAL Supercover Rapid Flexible (fast-setting, high yield tile adhesive), BAL Rapidset Flexible (fast-setting flexible adhesive) and BAL Max Flex Fibre (flexible, fibre-reinforced adhesive). The stunning tiling work was completed with grouts including BAL Microflex White, BAL Superflex White, BAL Superflex Wide Joint in Grey, White and Limestone, BAL Grout White and BAL Easypoxy White. Movement joints and edges were sealed with BAL Micromax Smoke (flexible, anti-microbial silicone sealant). A state-of-the art £300,000 Innovation and Technology Centre (ITC) has been officially opened by the leader of Stoke-on-Trent City Council Councillor Mohammad Pervez at Building Adhesives Ltd in Trentham. 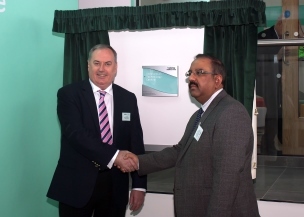 Councillor Pervez opened the Centre alongside the Company’s Managing Director Peter Bell at a special launch event on March 11th. Founded in 1963, Building Adhesives Ltd is the market leader in the development, manufacture and distribution of tile adhesives, grouts, sealants, and associated building products through its BAL and DUNLOP brands. Revolutionising training in the tiling sector, the purpose-built ITC delivers a significant upgrade on the firm’s current BAL Training Academy and features a state-of-the-art demonstration auditorium, practical training bays and meeting rooms. Providing the perfect platform for training in tiling techniques, skills and product use, the multi-use venue is available to a range of people in the tiling and construction industries including apprentices, installers, architects, specifiers, distributors, retailers and colleges. A full programme of courses is available at the ITC, helping to raise standards across the industry and support vocational qualifications. Bespoke course are also available to suit individual requirements. Mr Bell said the investment in the new facility was part of the company’s overall strategy as the market-leader to increase its training provision and help raise standards across the industry. 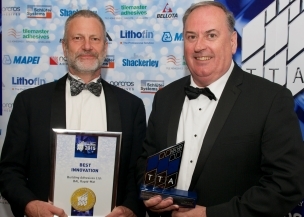 “The opening of the Innovation and Technology Centre is proof that we are committed to not only providing the best products, but also the complete package of support for our customers, distributors and suppliers including technical support and training,” he said. “Building Adhesives Ltd was founded in the city in 1963 as the development centre for the British Ceramic tile industry and we were the first adhesive manufacturer to offer industry training – and the first to open a training centre – so training and development has always been fundamental for us. From our highly qualified team of scientists, to our technical advisory team, customer support teams, marketing and administrative departments, we are dedicated to leading the industry in innovation and training. The Innovation and Technology Centre provides another milestone in the construction industry and cements our place as the market leader. Dave Rowley, BAL Training Manager, who has been leading training at the company for more than 20 years, added: “The Innovation and Technology Centre provides a significant enhancement of our training facilities and allows us to cater for a larger number of delegates than ever before. “The large auditorium provides seats for 40 delegates with a total capacity for 100 delegates and features high spec A/V and projection facilities and removable training bays for high impact practical demonstrations and theoretical presentations. A number of college students have already taken part in training at the centre, and bookings are now being taken for upcoming courses. Tilers nationwide can now source everything they need from a single supplier, all covered by a 25 year guarantee, thanks to BAL. The market leader in professional tile adhesives and grouts fully guarantees everything bearing its name, including BAL Rapid-Mat, its remarkable new uncoupling solution. This has taken the market by storm, being the UK’s first and only uncoupling mat fully guaranteed for 25 years by the supplier. BAL Rapid-Mat is designed for problematic floors, such as those that may be subject to lateral movement stresses. It is perfect with underfloor heating, timber substrates and other challenging backgrounds. It reduces project time by being faster to install, as demonstrated here. It also delivers major cost benefits by using over 20% less adhesive than cavity-based uncoupling mats. 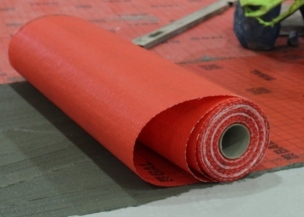 BAL Rapid-Mat is available through hundreds of stockists nationwide and, unlike other uncoupling mats, is covered by BAL’s full 25 year guarantee.